Hari CBI malayalam movie to be directed by K Madhu will have Suresh Gopi in lead. Scripted by S N Swami, this movie will be the next in CBI series. The other star cast includes Mukesh, Siddique and Saikumar. It is reported that Meghana Raj has been roped to play the female lead in the upcoming installment of the 'CBI' series. Megastar Mammootty who had been handling the role of an intelligent CBI officer Sethurama Iyer will give way for Suresh Gopi in this movie. Movie enthusiasts, who keep loving movies which fall under the genre of thriller, would like to keep the intelligent CBI officer Sethurama Iyer close to their heart. The character played by Mammootty in the CBI series movies was truly a turning point in his career too. The Central Bureau of Investigation (CBI) officer's character touted to be inspired by the late IPS officer, Radha Vinod Raju has made its presence in movies like Oru CBI Diary Kurippu, Jagratha, Sethurama Iyer CBI and Nerariyan CBI. The background score of the series became much popular as mobile phone ringtone. After the success of the sequels, the team is gearing up for the 5th movie in the series with a slight change in the cast. 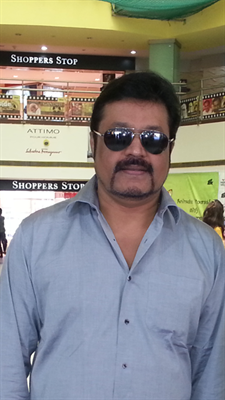 Titled 'Hari CBI', the movie directed by K Madhu will have Suresh Gopi in lead. The other star cast includes Mukesh, Siddique and Saikumar. It is reported that Meghana Raj has been roped to play the female lead in the upcoming installment of the 'CBI' series. Megastar Mammootty who had been handling the role of an intelligent CBI officer Sethurama Iyer will pay way for Suresh Gopi in this movie. As done previously, 'Hari CBI' will be blessed with the strong presence of S N Swami who would be lending his hands for its script. Harry will be the investigating officer instead of Sethurama Iyer who keeps a good contact with his senior officer for seeking advices. It is known that S N Swamy has scripted a perfect climax for the movie which would keep the film aficionados intact. Suresh Gopi who was part of Oru CBI Diary Kurippu, the very first instalment of the series had played the role of sub-inspector Harry who assisted Sethurama Iyer for investigating a murder. After the final cast, 'Hari CBI' would go on floor in January.